Our team built a crane that has 2 ranges of motion, one being the pivotal axis and the second being linear motion. The crane is made of rolled paper and it is extremely strong for its weight. We also recycled some metal supports along the outside stanchions. We have a base that is wood and put one arduino board,that controls the pivotal axis, on the wood base with Velcro. The other arduino board, that controls the linear motion, is on the top part of the crane and secured with Velcro. 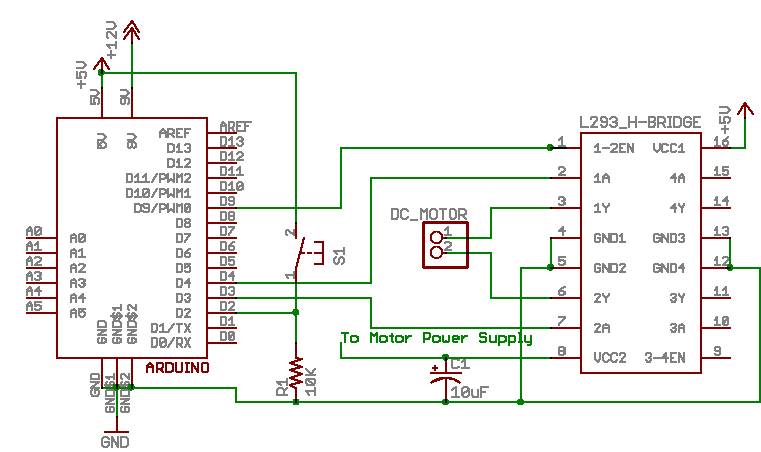 Both the arduino boards control a DC Motor with an H-Bridge that we will explain later. Some problems we encountered were that we had the wrong code, and it took many different tries to fix it and finally create the correct code. Another problem we encountered was trying to figure out the light sensitivity. It was too sensitive at first and then we made it so it wouldn't turn at all, and then we figured it out.